Victor Harbor is a town in South Australia on the south coast of the Fleurieu Peninsula, about 80 km south of the centre of Adelaide. Appreciate the collections at Mt Jagged Wines and Port Milang Historic Railway Museum. You'll enjoy a bit of beach vacationing at Aldinga Beach and Horseshoe Bay. You'll find plenty of places to visit near Victor Harbor: McLaren Vale (d'Arenberg, Samuel's Gorge, & more), Willunga (Willunga Gallery, Willunga Farmers Market, & more) and Maslin Beach (in Maslin Beach). And it doesn't end there: kick back and relax at Carrickalinga Beach, tour the pleasant surroundings at Boomer Beach, take an in-depth tour of Encounter Coast Discovery Centre, and examine the collection at South Australia Whale Centre. 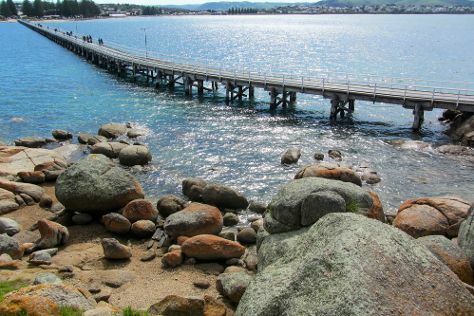 To find other places to visit, reviews, where to stay, and other tourist information, you can read our Victor Harbor trip planner . The Route module shows you travel options from your home to Victor Harbor. In December, daytime highs in Victor Harbor are 30°C, while nighttime lows are 17°C. Finish your sightseeing early on the 2nd (Thu) to allow enough time to drive to Tanunda. Start off your visit on the 3rd (Fri): do a tasting at Chateau Tanunda, learn about winemaking at Rockford Winery, then do a tasting at Seppeltsfield, and finally learn about winemaking at Whistler Wines. Here are some ideas for day two: examine the collection at National Motor Museum and then admire nature's wide array of creatures at Monarto Zoo. To find where to stay, reviews, maps, and more tourist information, read our Tanunda attractions website . Traveling by car from Victor Harbor to Tanunda takes 2 hours. Alternatively, you can do a combination of bus and train; or take a bus. In January, plan for daily highs up to 35°C, and evening lows to 19°C. On the 5th (Sun), wrap the sightseeing up by early afternoon so you can drive back home. On your second day here, stroll around Flinders Chase National Park. 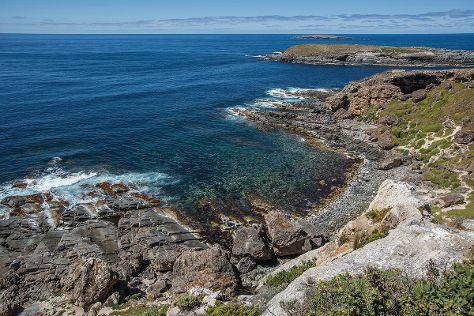 To find reviews, traveler tips, ratings, and more tourist information, read Kangaroo Island day trip planning tool . Traveling by combination of car and ferry from Tanunda to Kangaroo Island takes 4.5 hours. Alternatively, you can do a combination of bus and ferry. Wrap up your sightseeing by early afternoon on the 8th (Wed) to allow enough time to travel back home.